Moving during the holiday season is not the scenario you hoped for when you were planning your festive activities. December is not the most convenient or desirable period to move house, but it doesn’t have to be a disaster either. Sometimes you don’t have much of a choice when it comes to setting the moving date. A household move is an important life event and if it’s taking place during the holiday season, you should find a way to enjoy the holidays and perform a successful household move at the same time. Balancing your moving responsibilities with your private priorities and Christmas plans seems like a very difficult and demanding undertaking. – In order to make this experience as enjoyable as possible plan each step ahead. Take control of the relocation process and plan each task thoroughly well in advance. Don’t let unpleasant surprises get in the way of your festive mood and ruin your Christmas excitement. – Since holidays happen to be a very busy season for everyone, book your movers in advance as well as other moving-related services if you decide to move everything yourself. – Keep your spirits up and help your family, especially your children accept the fact that this year you will be spending Christmas under slightly different circumstances. – Stick to your rituals and traditions as much as you can so as to ease the transition. However, keep in mind all the reasons why this move is beneficial for you and your family. – Keep your family busy during the move. Have your children pack their items and let them make some moving-related decisions like how to arrange their bedrooms and how to decorate your new house. – Schedule some fun festive activities in your new neighborhood/city. Explore your new surroundings and spend some quality time with your family, but don’t neglect your old friends and neighbors. Attending local holiday events and get-togethers is just one of the ways to get settled in your new city and get to know your neighbors. You’ll see that soon you will have a lot of new friends to share the holidays with. Also, use benefits of modern technologies to stay connected with your loved ones who are far away. Reach out to your friends from the old neighborhood and arrange your next get-together. – Even if you are about to leave the house, put out some basic decorations that will give you a sense of home. Add a holiday spirit to your move by playing Christmas songs, watching a movie or preparing a special traditional meal and Christmas cookies. Don’t forget to take a break and relax a little bit in spite of the tight moving schedule. A special holiday treat will certainly relieve the stress and help you manage moving tasks more efficiently. along. Book a warmly-decorated hotel where you can stay overnight and have a nice dinner with your loved ones. 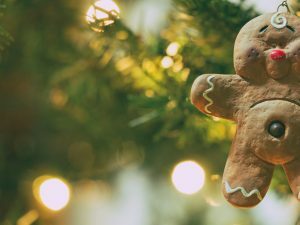 – Decorate your new house and start some new holiday traditions with your new friends and neighbors by embracing some of the local ways of celebrating. Most likely your new community will celebrate the holidays differently, so it might be exciting for you to discover new traditions and rituals. – Leave unpacking for another day and take time to enjoy the holidays. Keep your memorabilia close and unpack all the things that remind you of your old home so that you can have a piece of the familiar surroundings around you and make your new place feel like home as soon as possible. – Send Christmas gifts to your beloved friends and neighbors from the old neighborhood. Is Christmas move a good idea?